Background promo - Cardiff-based DIY pop imprint Odd Box Records are releasing the brilliant new 7" - Coco Sleeps Around - from Oxford's insatiable Rainbow Reservoir. With the full EP to be released September 10th the band are now sharing the title-track from the new record. Despite being a relatively new band this is melodic power-pop at it's absolute best and is sure to thrust the band into popular acclaim. On one side the track is sublime, quirky pop but there's a feisty, angst-ridden undercurrent beneath the track. If you're a fan of Tullycraft, Cars Can Be Flue, Waxahatchee and Horowitz then this will definitely be your bag. Vocalist Angela was asked to describe their wistful pop, explaining that "it's punk in spirit and upbeat, has lots of rhythm, and can be romantic but with a dark side". The Furious Seasons - Longshot. Skybaby Siren - Day By Day (feat. Elia). 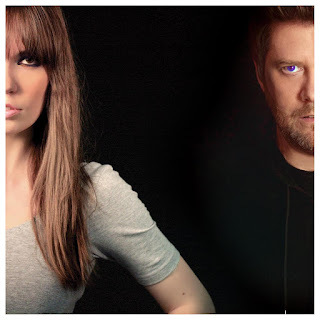 Background promo - Hailing from Sydney but now residing in London, producer/songwriter Craig Beck, aka Skybaby Siren, has been an established artist and writer for years. After finally deciding to start investing in his own music, he began releasing tracks periodically as an outlet from his usual work producing music for others. A multi-instrumentalist he see's the value in collaborating with singer-songwriters to enhance the music he composes and hopes that this somehow strikes a chord with music lovers. Skybaby Siren’s latest release is ‘Day by Day’, featuring the vocal stylings of Elia and showcasing what the band self-describes as their brand of Sonic Psychedelic Rock Pop. It’s a sleekly produced track, that shows off the act’s typically 80’s influenced style, with hints of the serene pop of modern dream rockers DIIV. Elia’s cool vocals float through the song, ushering in the infectious harmonies of the track’s smooth chorus. Over the next few days, Beehive Candy will be making a few changes, that we hope will improve both our visitors experience, and improve the support we provide for new artists, and new music releases. These will include placing all new music video features on the home page. BeeVids will stay in place for the time being, however all new video features will be on this page. We are also working on improving page loading time, along with a number of other ideas, that we look forward to introducing soon. As always thankyou for dropping by. Background from the band - In some ways our new single is about being happiest playing a gig. But it's also about how being social when you don't always want to be is a trade off for doing what you love. Getting what you want also means keeping yourself in check. Musically, it’s as if Johnny Ramone joined The Strokes as a 3rd guitarist. Lyrically it's also inspired by the song 'Left of the Dial' by The Replacements from their 1985 album 'Tim'. Our forthcoming album was produced, engineered, and mixed by Kevin Dietz (The Cranberries, Alexisonfire, Placebo, Nelly Furtado). It was recorded at Metalworks in Toronto and Slipone Digital in Newmarket, Ontario, Canada. The Heroic Enthusiasts - Summer Serenade. 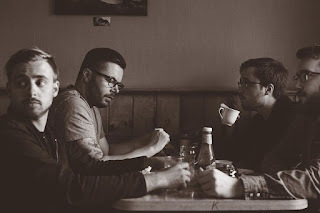 Bakground bio - On Monday, New York indie rock band The Heroic Enthusiasts released their new EP The Second Three on JamTom Music. Inspired by experiences traveling in Italy and France, The Second Three builds on the band's polished indie rock sound that is reminiscent of definitive 80’s post-punk groups such as Echo and the Bunnymen and The Smiths. Nick Waterhouse - It's Time. 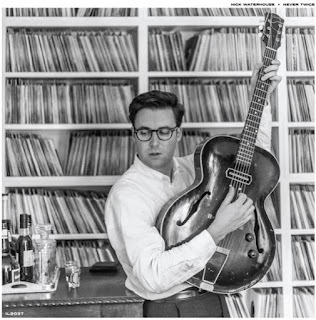 Background promo - On September 30th, California rhythm and blues revivalist Nick Waterhouse will return with his third full-length studio album, Never Twice. The first track off of the album was unveiled yesterday via Bandcamp. Never Twice will be released via Innovative Leisure digitally on CD and 180 gram vinyl. Today, Nick Waterhouse has also announced a fall U.S. Tour. Highlights include Music Hall of Williamsburg in Brooklyn on October 8th, The Bottom Lounge in Chicago on October 4th and The Rock and Roll Hotel in Washington DC on October 12th. More tour dates to be announced soon. 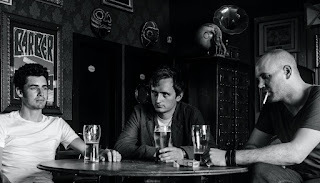 Background promo - Room1Fourteen are an indie rock trio based in-between England and Switzerland. 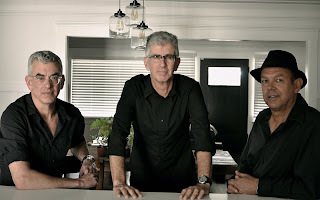 The band is made up William Mayos (vocals / guitar / piano /songwriter), Rob Green (guitar / production) and David Dasenbrook (drums /bass). “So Cold” is their free download single taken from their debut album “Control”, which are both available on 5th September 2016. “So Cold” is a rock n roll song sprinkled with melodic guitar hooks and a driving rhythmic section. Will’s vocal is seamless and controlled hiding an underlying sense of frustration to whomever it concerns. 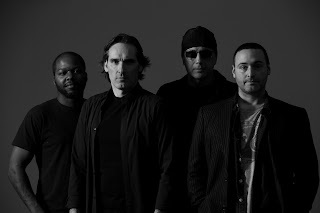 The single and album are the follow up to the bands debut “Living In Dreams” EP (2015), which received airplay in Europe, U.S.A and Switzerland along with some positive blog support. They are planning to tour the album in the U.K. as lead vocalist Will is English and wishes to play live in his homeland. Shannon Söderlund - Tomorrow's Only Tuesday. 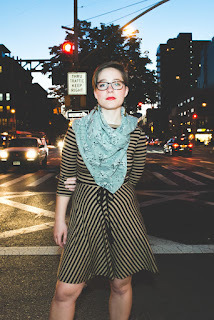 Background bio - A fresh musical force on the NYC scene, Shannon Söderlund is serving up catchy pop-rock anthems to a hungry city. With driving guitar riffs and punchy rhythms reminiscent of the late 90’s, Shannon’s anthemic music is influenced by the soulfulness of gospel music and the spontaneity of jazz, resulting in a sound that is at once bright, clear, and deep. Her songwriting and performances capture the complexities of life — the highs, the lows, the trials and the joys — while indulging in head-bobbing grooves and infectious lyrics that get lips smiling and toes tapping.